The January sales can seem daunting, but they're more than worth it to bag a bargain or two. All that shopping will leave you tired though, so it’s only right to reward your valiant efforts with a post-shopping visit to a fabulous London restaurant. Read on for eight of our favourites, handily sorted by vibe and location. What: This tapas bar doesn’t take bookings, so it’s an ideal place for mid-shopping respite. The daily-changing menu offers authentic Spanish morsels, which may include the likes of king prawns with chilli and garlic butter, or octopus with crushed potatoes. There’s also a strong selection of wines by the glass, while its informality means you won’t feel self-conscious if you’re on your own. 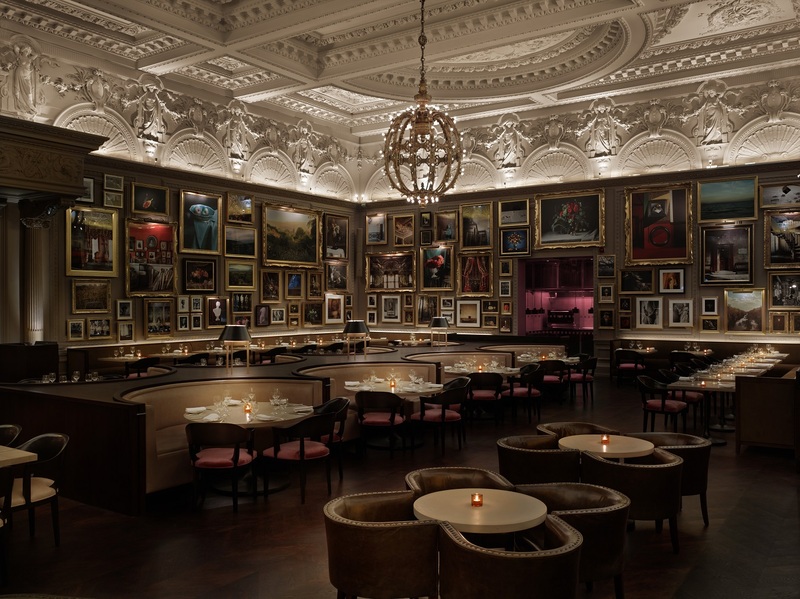 What: Jason Atherton’s 21st-century reinvention of hotel dining has made Berners Tavern one of the hottest tickets in town. 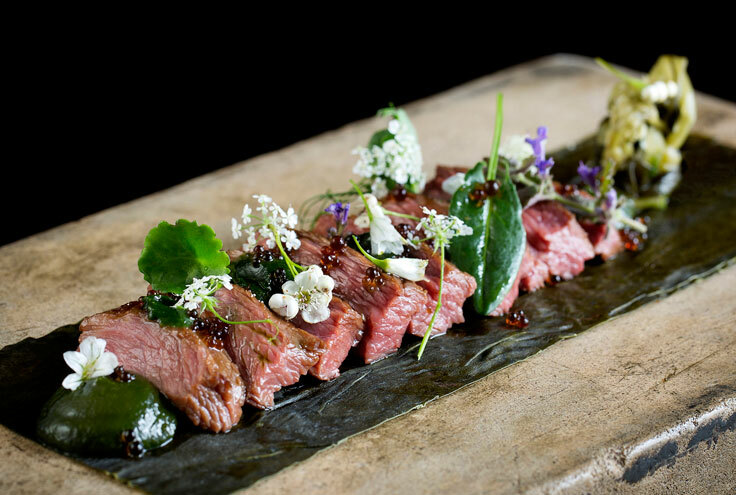 The restaurant oozes glamour, without feeling stuffy, and the best-of-British menu has won legions of fans. Indulge with the likes of a traditional British pork pie served with English piccalilli, pickled vegetables and mustard, or opt for the famous mac ‘n’ cheese, topped with red wine braised beef blade. 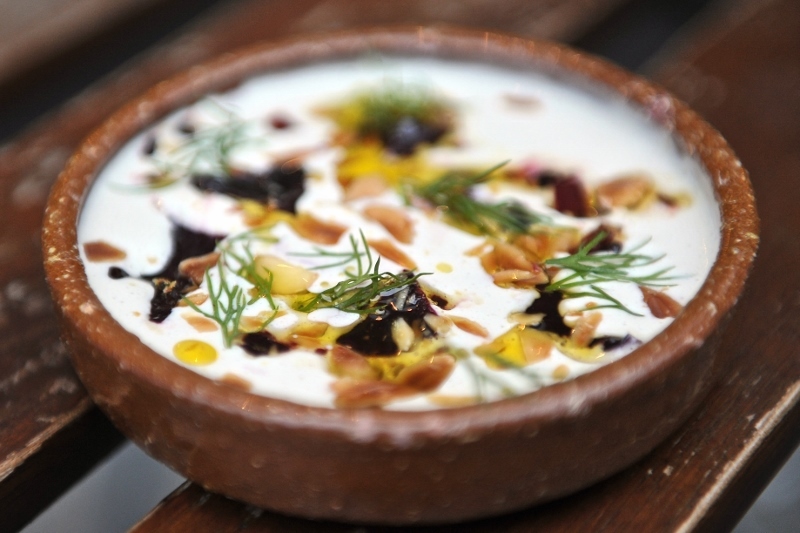 What: A haven for foodies who find themselves at the bottom end of Regent Street, Nopi takes Yotam Ottolenghi’s healthy and supremely tasty food up a notch, in a high-gloss setting. 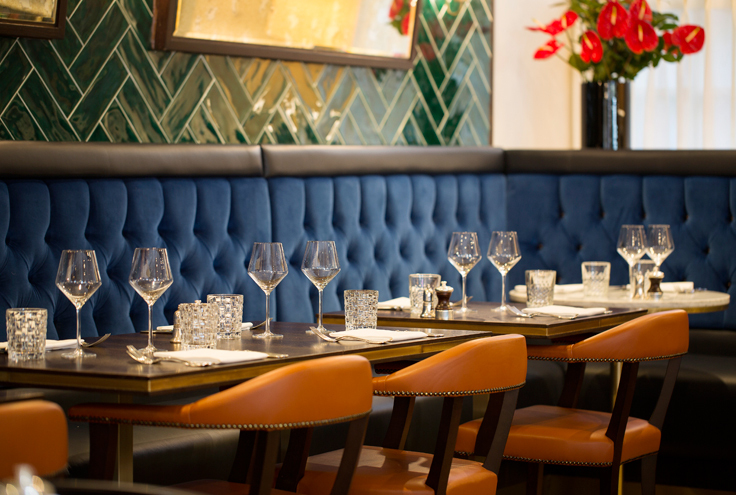 Diners enjoy the likes of chargrilled seabass with collard greens and coconut or a chickpea pancake stuffed with spiced peas, tomato, pickled chili and yuzu, ensuring they get their energy up before hitting the shops again. What: As far removed from the Zen minimalist school as it gets, Aqua Kyoto does high-end Japanese with a bit of razzmatazz – just look at the dramatic dining room with its showpiece sunken sushi bar crowned by an oversize red lantern. 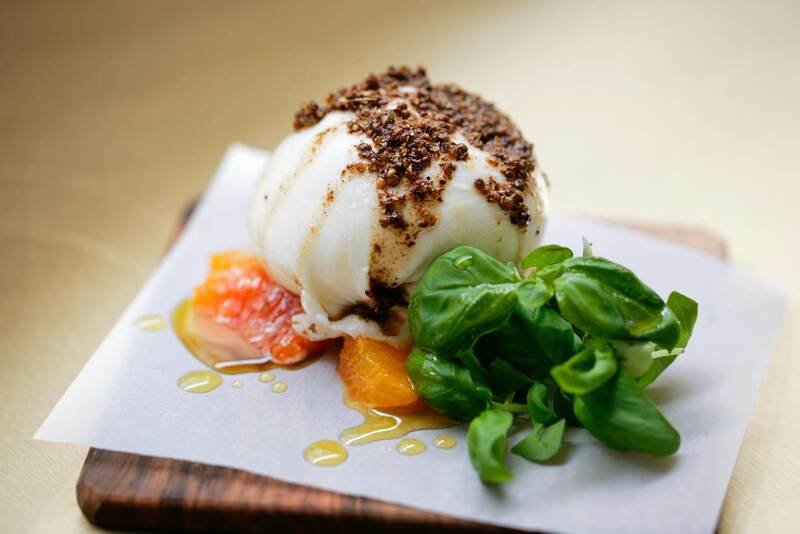 If you find yourself near Regent Street on the weekend, wrap up your afternoon of retail therapy with Kyoto’s decadent brunch, which features a selection of sushi and bottomless Veuve Clicquot. What: In a secluded location just moments from bustling Bond Street, this restaurant makes for a welcome hiatus for shoppers with taste. Despite the location, prices are reasonable, and the European menu offers up dishes including spicy Kerala-style chicken curry with coconut rice and crushed peanuts, and a pumpkin and chestnut tortellini with pumpkin purée . Otherwise, afternoon tea makes for a good post-shopping treat. 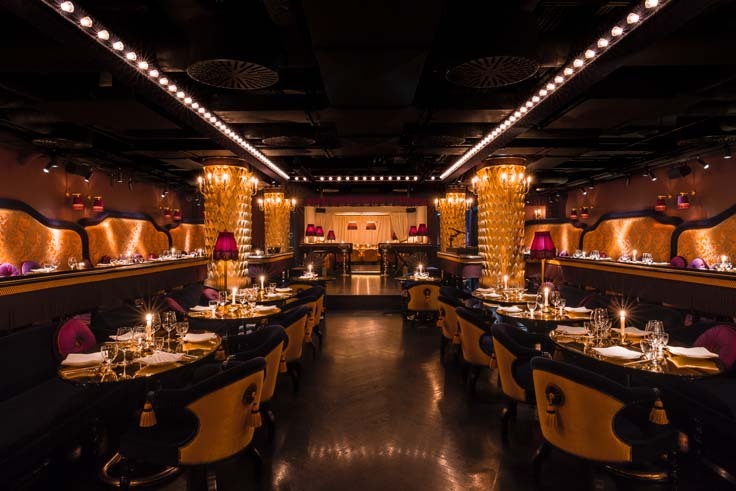 What: Replete with swathes of red velvet, powder-blue armchairs and ostentatious trappings, Park Chinois is an opulent take on a 1930s Shanghai speakeasy that is built for big-money special-occasion dining – and there’s no better time to treat yourself than after shopping, right? Order from the carte to enjoy the likes of crispy corn-fed chicken with chilli mango sauce, or stick to the lunchtime prix fixe to enjoy three courses for £35. What: The Knightsbridge location of this uber-popular restaurant group is right at the top of shopping hub Harvey Nics. Happily, that does-what-it-says-on-the-tin menu means you’ll have one less difficult decision to make during your shopping adventures. 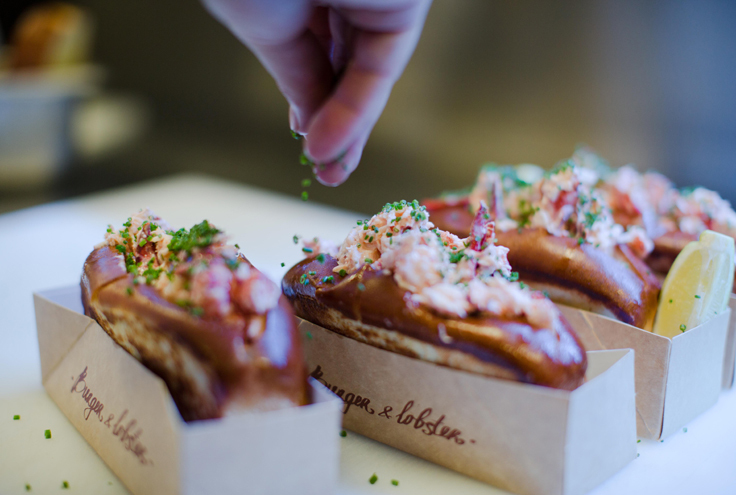 Start with prawn and lobster croquettes with chipotle mayonnaise, before choosing between the likes of a lobster roll, or a signature burger featuring a 100oz Nebraskan beef patty. 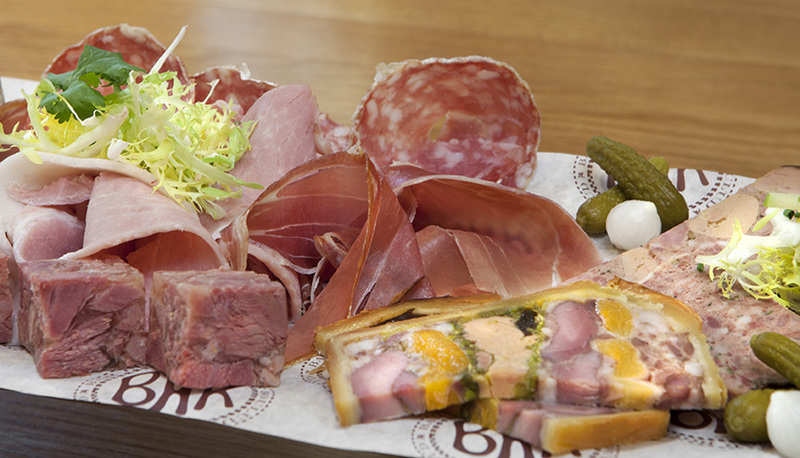 What: A slice of New York in Knightsbridge, Daniel Boulud’s brasserie in the Mandarin Oriental Hyde Park is all about the atmosphere, so expect a buzzy retreat with a gutsy menu, which majors in charcuterie, steaks and highly-prized burgers, including the BB, which features foie gras, and short-ribs with horseradish mayonnaise. Finish up with a selection of cheeses from La Fromagerie, or a helping of freshly-baked Madeleines. If the sales have got you in the mood to hunt for more bargains, take a look at our pick of the best cheap eats in the capital.